Say goodbye to boring treadmills runs! Virtual Runner is an exciting application developed by Outside Interactive with the purpose of elevating the treadmill experience. 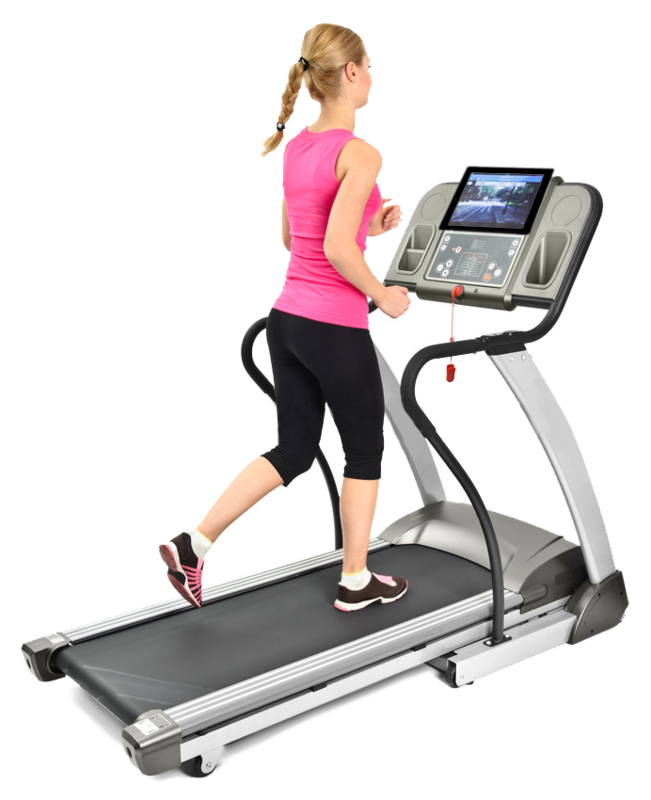 Created with the treadmill runner in mind, Virtual Runner consists of a software “app” that can be used with Windows, an iPad or a Tablet. This application is used in conjunction with our professionally shot HD videos. These videos are filmed from a first person point of view using state of the art videography technologies. 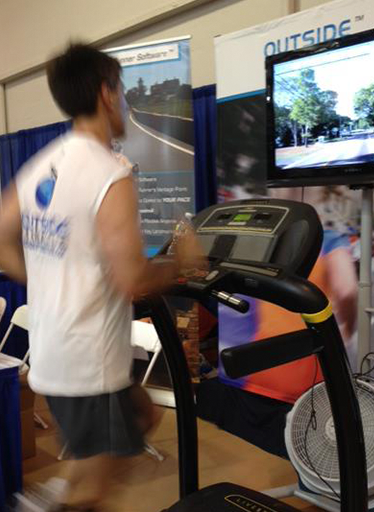 Video speed can be adjusted manually (iPad or Tablet only) to match your pace as you run on the treadmill. For a more immersive experience, video speed can be adjusted automatically with the use of an ANT+™ footpod and ANT+ Wireless Receiver stick. An optional ANT+ compatible Heart Rate Monitor can also be used to provide real time data via a heads up display. ANT+ is the wireless network protocol found in many of today’s wearable technology by brands such as Garmin, Timex and Adidas. For the ultimate immersive experience, we are now compatible with several Bluetooth capable treadmills. Not only will the equipment control the video speed on the Virtual Runner app, but we can control the belt incline to match hills in the video. Check back soon for a list of compatible equipment. Watch the exciting Virtual Runner app in action! Virtual Runner is designed to work with the existing technology you already own. No special treadmill is required. You simply download Virtual Runner on your iPad, PC, laptop or Tablet along with selected videos you purchase and download. Once Virtual Runner is installed, you simply select the video you wish to run to. After a brief countdown, the video begins. You can adjust the speed of the video to simulate the speed you are running on the treadmill manually if using an iPad or Tablet. For automatic speed adjustment, attach the footpod to your shoelace and plug in the wireless receiver into your iPad, laptop or Tablet and start the program. The video is displayed on your monitor or HDTV (if connected). As you run, the footpod transmits your pace to the USB receiver. This data is read by the Virtual Runner software, which adjusts the speed of the video based on your actual pace. If you run faster, the video will speed up. If you slow down, the video will slow down automatically. The audio component contains natural sounds captured when footage was shot, which are not affected by speed change. A mute option can be enabled if you wish to listen to your own music as well. You also have the option of starting anywhere along a given route by selecting a mile marker so a course can be broken up and covered over several runs. Virtual Runner is designed to work with the technology you already own. No special treadmill is required! As shown above, setting up Virtual Runner is pretty simple. Get started by downloading the Virtual Runner app onto your iPad, Android Tablet, Windows PC or laptop, along with any videos you purchase. Once the app is installed, select the video you wish to use. You can adjust the speed of the video to simulate the speed you are running on the treadmill manually if using an iPad or Tablet. For automatic speed adjustment, attach the footpod to your shoelace and plug in the wireless receiver into your iPad, laptop or Tablet and start the program. The video is displayed on your monitor or HDTV (if connected). As you run, the footpod transmits your pace to the USB receiver. This data is read by the Virtual Runner software, which adjusts the speed of the video based on your actual pace. If you run faster, the video will speed up. If you slow down, the video will slow down automatically. The audio component contains natural sounds captured when footage was shot, which are not affected by speed change. A mute option can be enabled if you wish to listen to your own music as well. You also have the option of starting anywhere along a given route by selecting a mile marker so a course can be broken up and covered over several runs. Data storage for saved videos and footpod calibration. Definition from a runner’s vantage point. treadmill’s incline and by how much. “Natural Sounds” or “Mute” capabilities. break up over several workouts. marker where on a course you wish begin. No more boring runs on the treadmill. Learn racecourses and landmarks BEFORE you run them.